This time of year we are all (including me ;-) ) busy trying to forecast what the new food trends are going to be. I gave a speak on the subject at the UK CESA conference in november – presenting the new and creative concepts that I have encountered in the major cities. Among these a quite unique concept in Barcelona – made by Camper. Watch it here. 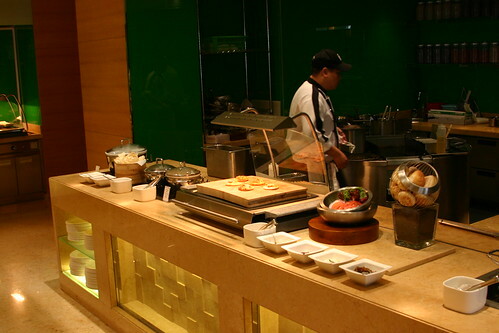 One thing I have observed is that the new mantra for buffets and food displays is that less is more – simplicity and quality have replaced volume and variety in some of the best and most progressive concepts I have seen. Tappas and Sushi style bites have replace huge displays. 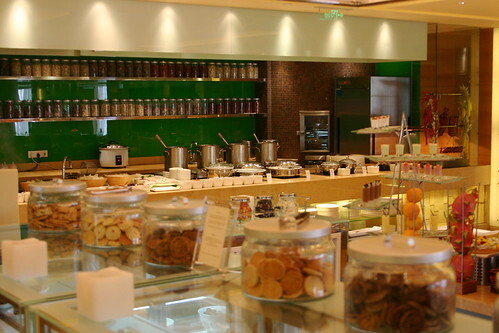 The photos here are both from the spanking new Renaissance Shanghai Hotel – note that the cokkie jars are there for quest to take their pick if the feel like a cokkie with their coffee. What do you think are going to be the dominant new trends in the Food business this year?